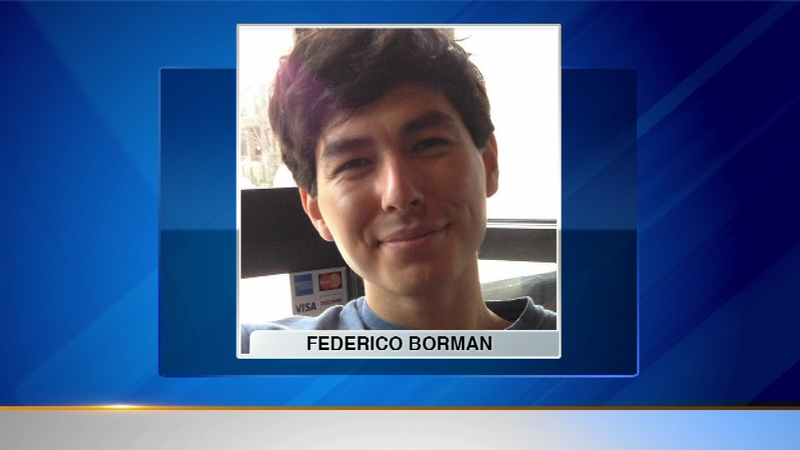 Federico Borman, 24, was last seen Wed., May 6, 2015. CHICAGO (WLS) -- Chicago police are looking for a missing Northwest Side man who may have disappeared while canoeing on the Chicago River. Federico Borman, 24, is described as an avid canoeist. He was last seen Wednesday morning in the area of Christiana and Wilson streets, which is just a few blocks west of the north branch of the river. Borman's canoe and bicycle are both missing, police said.